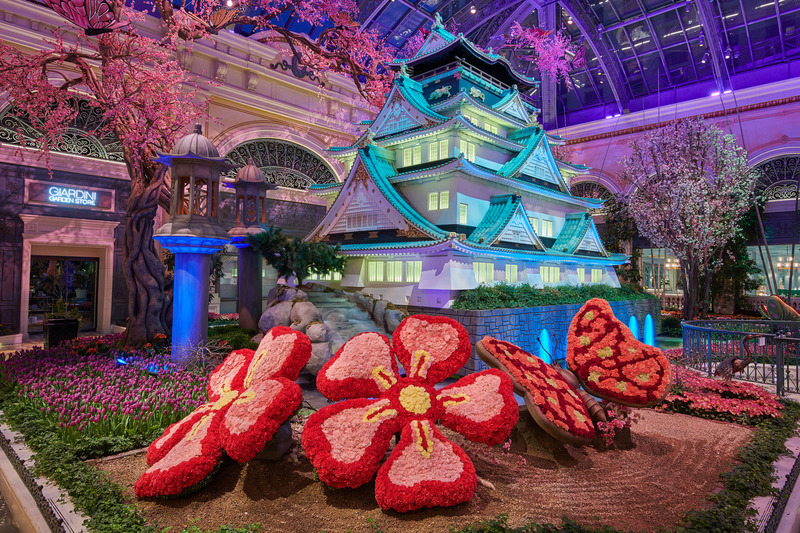 LAS VEGAS, March 20, 2019 /PRNewswire/ -- Celebrating the exquisite beauty and tradition of Japan, Bellagio's Conservatory & Botanical Gardens unveils its stunning spring display, on view through June 15, featuring for the first time an intricate replica of the Osaka Castle, one of Japan's most iconic landmarks. Nearby in the North Bed, two 18-foot red-crowned Japanese cranes tower over blooming lotus flowers in various stages of life. The cranes are inspired by the popular One Hundred Famous Views of Edo, one of a series of ukiyo-e prints by Japanese artist Hiroshige. In Japanese culture, the crane symbolizes longevity and strength, while the lotus flowers are honored for their ability to bloom from the mud of a murky pond ? a process that symbolizes enlightenment. 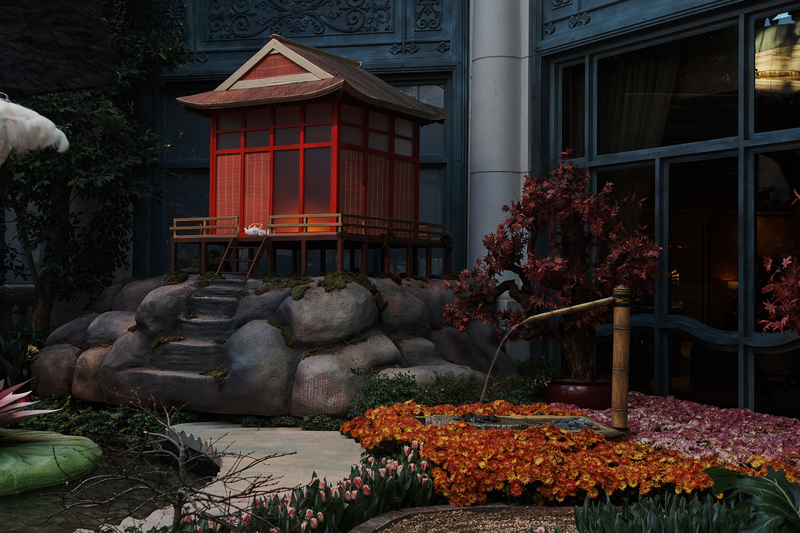 Designed to replicate a legendary tea house that debuted at the 1893 World Fair in Chicago, a traditional tea house sits just beyond the pond, set for a time-honored tea ceremony. Inspired by the beautiful villages of Europe, the AAA Five Diamond Bellagio Resort & Casino overlooks a Mediterranean-blue, 8 ½-acre lake in which fountains perform a magnificent aquatic ballet. 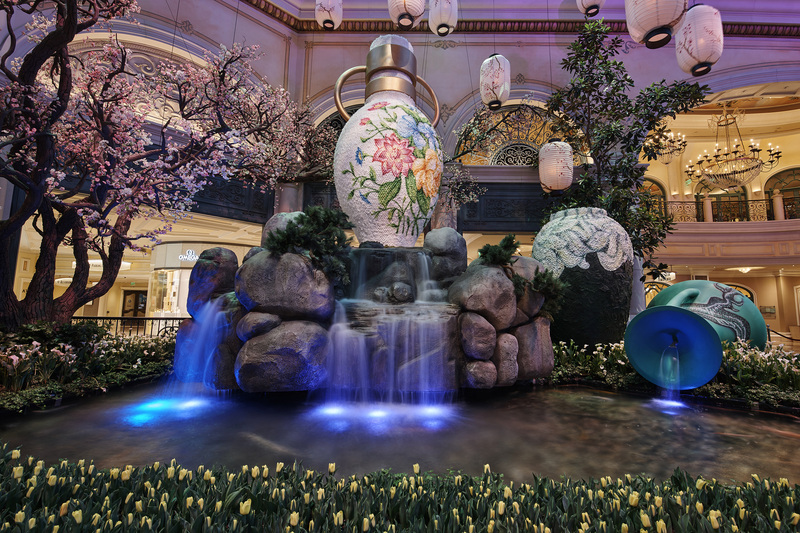 Award-winning dining, a world-class art gallery, the exquisite Conservatory & Botanical Gardens, the stunning performance of "O" by Cirque du Soleil, a sumptuous spa and salon and exclusive luxury shopping all work together to compose the symphony that is Bellagio. 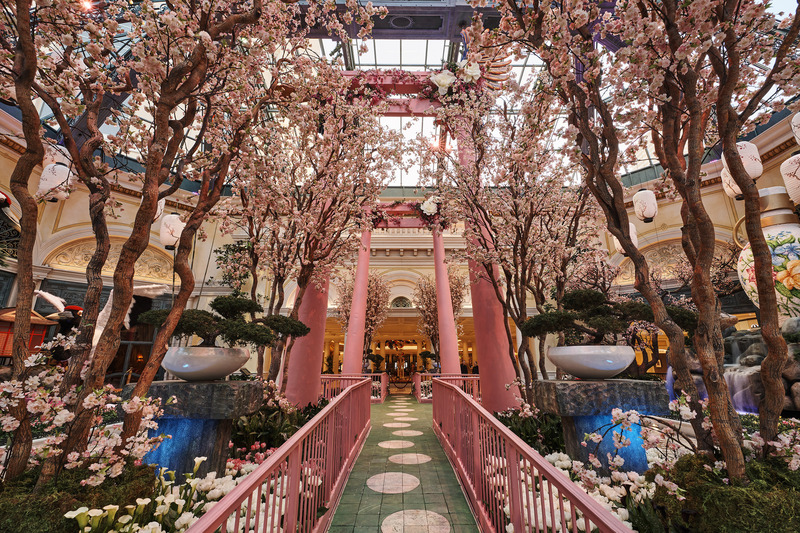 Bellagio is owned by MGM Resorts International (NYSE: MGM). 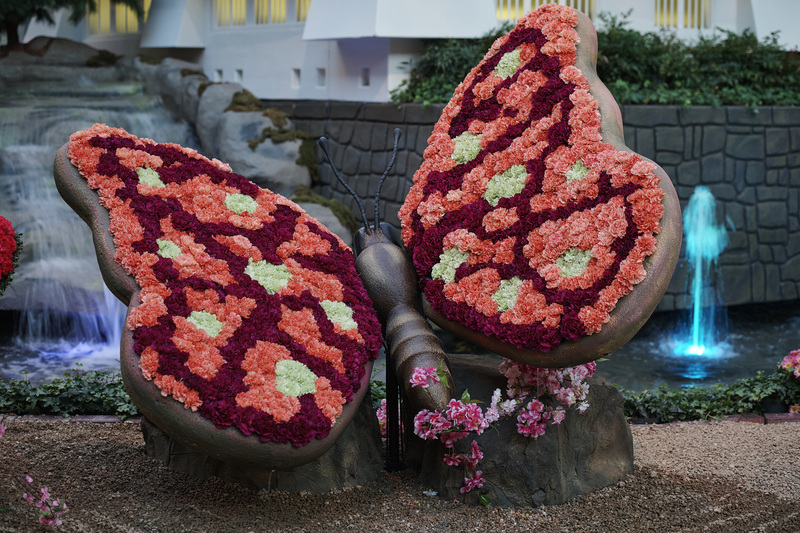 For more information and reservations, visit bellagio.com, call toll free at (888) 987-6667 or find us on Facebook and Twitter. One of Japan's most famous landmarks, the Osaka Castle is a prolific monument and museum with a storied history spanning six centuries. Toyotomi Hideyoshi, a legendary samurai warrior, completed initial construction of the castle in 1597, creating one of the most impressive structures in the country at the time with a five-story main tower, three underground levels and gold leaf edging the tower to impress visitors. The castle was burned and reconstructed multiple times, though some elements, including walls built in the 1620s, are still standing today. A dramatic restoration project was undertaken in the 1990s to rebuild the tower in the spirit of its Edo-era magnificence, resulting in a fully functional modern museum that opened in 1997 and educates millions of Japanese and international visitors each year.